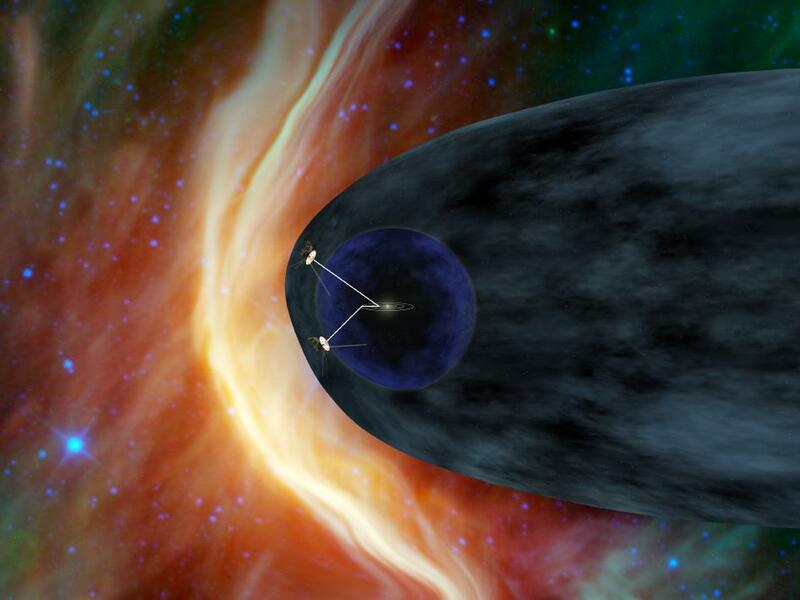 Voyagers in the Heliosheath: Artist’s Concept … And REALLY Cool! This artist’s concept shows NASA’s two Voyager spacecraft exploring a turbulent region of space known as the heliosheath, the outer shell of the bubble of charged particles around our sun. After more than 33 years of travel, the two Voyager spacecraft will soon reach interstellar space, which is the space between stars. forms, indicated by the bright arc. This entry was posted in HISTORY, SCIENCE & TECHNOLOGY and tagged grand tour, Heliophysics, heliosheath, interstellar space, Jet Propulsion Laboratory, JPL, nasa, outer solar system, solar system, Voyager, Voyager 1, Voyager 2 by Thinkwing Radio. Bookmark the permalink.